I can see that this is a much more jovial and open minded server than the last one that I played. Still it does include one account with which I have a bone to pick. I look forward to a few months of witty repartee. So if we attack GGG we are superior to anyone else as they have double our members? Should we count in actual players instead of accounts? You know, duals? Where are the real reports ? Sounds kinda fun for me, depending on how it's implemented. I won't mind spamming some clubmen for two weeks for some weird PvE challenge. can i just delete natarian village with catapults and then build my own ? Or only way how to cap that village is chief her. You can catapult it, but i don't see why you would do such a thing. If your enemy clears it and you don't have a chief, maybe? Does it always happen at 00:00 server time? After union the only way to remove a king is for the king to delete (space is not filled). Player with WW can change of kingdom? i want to know if a player with WW can change of kingdom? Yes, but all kingdoms get locked when the first WW reaches the lvl 50. At that point nobody can change kingdom at all. Hint : Think about forcing governors to rely on field production because farms are unsafe. a new team wouldn't even know what to do and by the time they do, their treasuries will be wiped out clean. But this is what new teams already do, it's the good teams that farm. Why has the game / server time changed ("Game world time") with the change of local time in most countries from winter to summer? GT should be unchangeable and does not have to be the same as German time (CET). It interferes with, among others calculations of army forces, construction time. With an unchangeable GT there is no problem because time does not jump by 1 hour. After all, it's time to dial the time: local, GT, UTC. Well I guess I can shed some light on the Fishkiller situation. Yes it came out that when he played with Vheim he was using prohibited tools, a "clicker" to send his farmlists for him. His troops were all killed (by the MH) and he ultimately decided to delete (last com6). Fishkiller played with unsc on com2 round 5 and was using autoclicker for raids too, when we told him not to do that he deleted because "he doesn't want to play if he can't be the best". and how do you know who is multi and who not? You don't know, that's why you can report based on suspicion. This doesn't sound right Georgi, because I have tried timing my final demolition of the first village to coincide with clearing both robber hideouts together. I did this on my most recent server. Both hideouts were cleared and the first village destroyed within a 60 second window, but new hideouts spawned at the original location. However, I've had a few servers where I was fortunate to have them spawn at the new location, but could not figure the reason. Maybe the new hideouts are scheduled after the troops are cleared, rather than the resources? b) Leave bits of resources in both hideouts, demolish spawn, clear hideouts from new capital and new ones will spawn near it. Both of those should work, neither of those are really ideal. and their off is just garbage. Hey cmon it's not that bad with their superior raiding units If them TTs let me start running greats way before others as a governor it doesn't really matter if they're worse attack/resource or attack/training time as i'm saving on both of those by getting better raiding going earlier. If you take limited resources out of the equation, okay they're not ideal.. 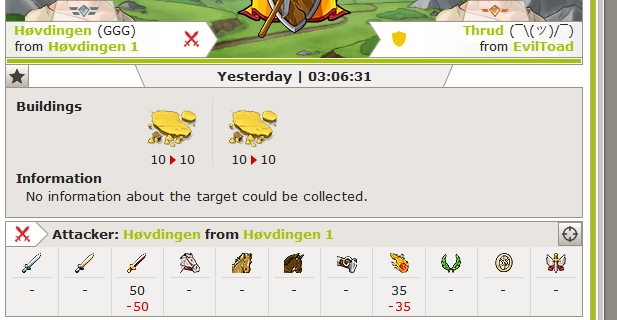 It was travian, there was more ISPs blocked than just one. Fellas when you want build a wonder and you want kingdom around you need or want have that tile of wonder in influence or not? Doesn't make a difference, it's nice to have the wonder within the border so governors can see the attacks on the wonder. Definitely not necessary as you usually need to post the incoming attacks anyway, just helps dodging natar troops if you feed your hammer in the wonder or something.